This is a unique, LARGE (42mm.) 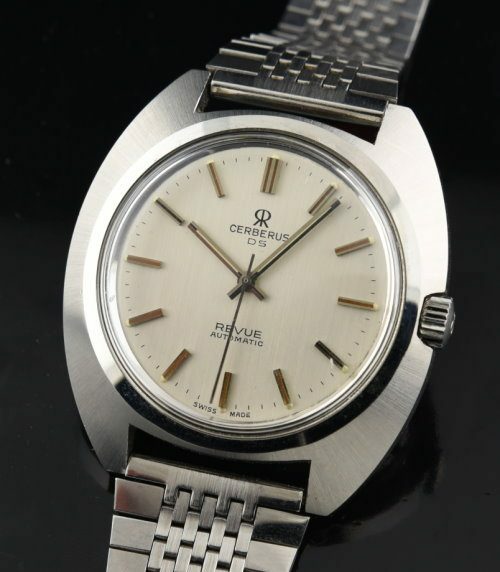 1970’s CERBERUS SWISS watch having a sprawling, extremely clean case with polished bezel and original factory finish lugs, signed original crown, pristine original dial and screw-back case. The automatic winding SWISS movement was cleaned and is accurately keeping time. 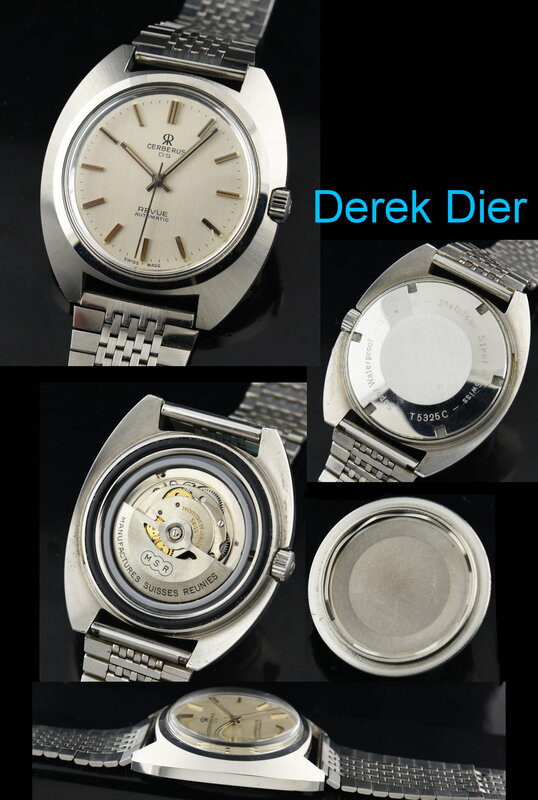 The steel bracelet is even original to the watch. This watch commands attention on the wrist due to its large appearance on the wrist! Priced EXTREMELY well.